Not to be confused with David Nichol, David Nichols, David Nicholl, or David Nicholls. 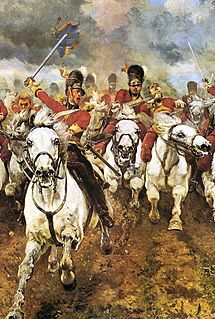 David C. Nicolle (born 4 April 1944) is a British historian specialising in the military history of the Middle Ages, with a particular interest in the Middle East. David Nicolle worked for BBC Arabic before getting his MA at SOAS, University of London. He gained a PHD at the University of Edinburgh. He lectured in World and Islamic art and architecture at Yarmouk University, Jordan. He was also on the editorial board of the Medieval History Magazine. Nicolle married an American, Colette Giroux in 1976; they have a son Frederick Joseph ("Fred", born 1982) and a daughter Dr. Antoinette Laura ("Nette", born 1984). He now lives and works in Chipping Barnet, London. (2000) French Armies of the Hundred Years War. London: Osprey Publishing, ISBN 1-85532-710-4. (2012) The Fall of English France 1449-53. Osprey Publishing, ISBN 978-1-84908-616-5. The Battle of Hattin took place on 4 July 1187, between the Crusader states of the Levant and the forces of the Ayyubid sultan Salah ad-Din, known in the West as Saladin. It is also known as the Battle of the Horns of Hattin, from a nearby extinct volcano. The bascinet – also bassinet, basinet, or bazineto – was a Medieval European open-faced military helmet. It evolved from a type of iron or steel skullcap, but had a more pointed apex to the skull, and it extended downwards at the rear and sides to afford protection for the neck. A mail curtain was usually attached to the lower edge of the helmet to protect the throat, neck and shoulders. A visor was often employed from ca. 1330 to protect the exposed face. Early in the fifteenth century, the camail began to be replaced by a plate metal gorget, giving rise to the so-called "great bascinet". The Battle of Cresson was a small battle, fought on 1 May 1187 at the springs of Cresson, or 'Ain Gozeh, near Nazareth. It was a prelude to the decisive defeat of the Kingdom of Jerusalem at the Battle of Hattin two months later. Beaufort or Belfort Castle is a Crusader fortress in Nabatieh Governorate, Southern Lebanon, about 1 kilometre (0.62 mi) to the south-south-east of the village of Arnoun. There was a fortification on the site before it was captured by Fulk, King of Jerusalem, in 1139 and construction of the Crusader castle probably began soon after. Saladin captured Beaufort in 1190, but 60 years later Crusaders re-took it. In 1268 Sultan Baibars finally captured the castle for the Islamic forces. 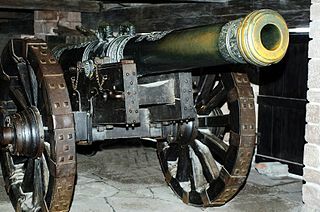 Artillery in the Middle Ages primarily consisted of the introduction of the cannon, large tubular firearms designed to fire a heavy projectile over a long distance. Guns, bombs, rockets and cannons were first invented in China during the Han Chinese Song Dynasty and then later spread to Europe and the Middle East during the period. Cannon operation required specialised crew and gunners, who were first enlisted by the Spanish in the 14th century. The nature of cannon operation often depended on the size of the cannon and whether they were breech-loading or muzzle-loading. English cannon of the late 14th century became mobile, while the largest cannon required huge crews to transport and operate them. Abu Qubays is a former medieval castle and currently an inhabited village in northwestern Syria, administratively part of the Hama Governorate, located northwest of Hama. It is situated in the al-Ghab plain, west of the Orontes River. Nearby localities include Daliyah 21 kilometers to the west, al-Laqbah to the south, Deir Shamil to the southeast, Tell Salhab to the northeast and Nahr al-Bared further northeast. According to the Syria Central Bureau of Statistics (CBS), Abu Qubays had a population of 758 in the 2004 census. Its inhabitants are predominantly Alawites. The Arab sword, sometimes called a Saif (سيف) or a Shamshir depending on the era, has its origins in Arabia prior to the 7th century. Not much is known about this particular weapon, other than what Al-Kindi wrote in his treatise On Swords in the 9th century.